Many years ago, plans began for The Endowment House. Imagine you serve on the board of directors for a local education foundation. The foundation is making a real difference in the lives of kids. But it is also struggling to find long-term financial sustainability. Then, someone on the board comes up with an out-of-the-box idea. Grow an endowment fund by building a house. In 1997 this was the exact scenario the board of directors of the Excellence in Education Foundation faced. The board knew the only way to ensure the foundation would continue to grow and support education for years to come was to build an endowment fund. “There was money being raised and given away every year and it was not a sustainable effort. At some point you want to have something that’s self-sustainable through good times and bad times and through times of people willing to go out and ask for donations, and through times where people don’t have that energy to go out and ask for donations, and even times where people don’t have anything to give. And we’ve all seen those times,” recalls past board member and project architect Scott Ryan. So, to ensure financial security through the good times and the bad, the board came up with a unique and risky idea. They decided one way to raise enough money to truly create a viable endowment fund was to build a house in Truckee, sell it and use the profit to grow the fund. 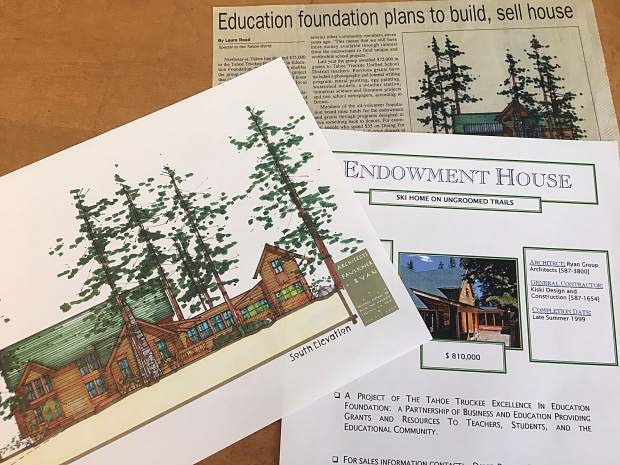 The decision to build “The Endowment House” began a two-year odyssey of finding a lot to build on, designing house plans, hiring a contractor, and coordinating donations and workers. Northstar jumped in to help right from the start and donated half the cost of a Big Springs lot. Scott Ryan donated the house plans. And the Foundation hired local builder Joe McGinity as the general contractor. It was Joe’s job to coordinate workers and sub-contractors, some who were paid and others who donated their time. Many local companies, individuals and others chipped in to help build the house. It took nearly two years, but in the end the house was sold and the net proceeds went straight into the endowment fund. “We just had a great team. And we stuck with it. We rolled up our sleeves and stuck with it. In the end, two years later we were probably older and grayer but we did it,” remembers past board member Linda Brown. That original group of board members set a goal of raising $1.5 million for the endowment fund. The sale of the house didn’t get them all the way to that goal, but it gave them a huge boost forward. Today the endowment sits at more than $2.5 million. 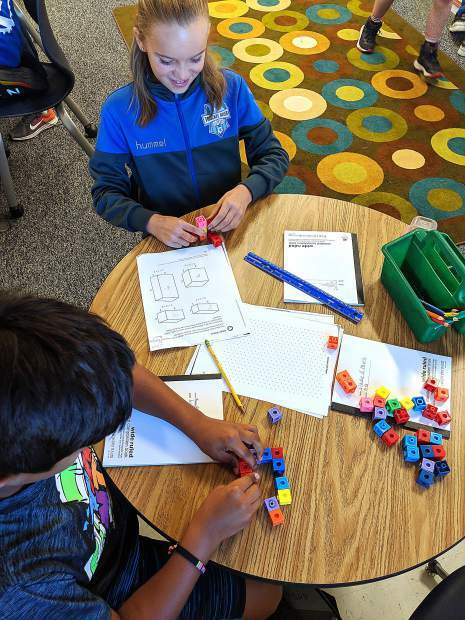 Each year, Excellence in Education gives over $250,000 in grants directly to classroom teachers, schools and programs that benefit students throughout the Tahoe Truckee Unified School District. Shelly Purdy is an Excellence in Education board member. The Tahoe Truckee Excellence in Education Foundation is celebrating its 30th anniversary this year. Visit http://www.exined.org to learn more.